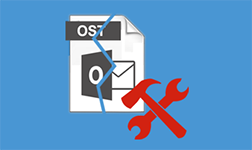 The OST stands for Offline Storage Tables, when there is unreliable connectivity of internet then OST is an effective means to access Exchange Server mailbox folders locally on the Outlook client. It permits to continue with the mailbox functionality when the server is not connected that is in the offline mode. However, OST files have a property of stiffness and cannot be influenced easily by an external interruption. Sometimes there is a condition when OST data becomes inaccessible due to which routine business operations got affected. There are many reasons that make OST data inaccessible. The troubleshooting of inaccessibility of OST is needed, no matter what is the version of the application likewise MS Outlook 2007, 2010, 2013, 2016 or any older ANSI edition. This is the simple solution to export offline folder file to Outlook PST when you have to resolve all the problems regarding the OST, regardless how severe files are damaged and harmed. e. Select the folder or item that you need to export or convert to PST like Inbox. f. In the Archive items older than the box, it provides an appropriate date. All the items that were received earlier until the mentioned date will be archived. g. In the Archive file: option, give the destination path to store the new PST. h. Click on OK to achieve the export process. In this method, you can drag and drop OST mailbox items to PST file format. It is the one of an efficient way to transfer data from OST file to Outlook PST. First of all, to achieve this you have to create blank PST file in MS Outlook and then click and drag the desired item in the OST mailbox to create new PST file. Although, this procedure has some constraints regarding the method of drag and drop of a mailbox. • For every individual item which has to be exported to PST mailbox, you have to repeat the process. You have to pay attention during the process because it is time-consuming, and committing a single mistake will lead to an unwanted repetition of the process. • To export structure folder or other default folders such as inbox, calendars, contacts etc. you have to create new PST file to organize the whole data in a systematic way. There is another method for exporting OST file to PST files in Outlook 2010 is MS Outlook Import and Export wizard. It can also be used for another version. In this method, you can also choose OST data to Excel and CSV file formats. This technique is manual; you can try an attempt for error-free execution. So, there are possibilities of losing the important data in each step during the execution process when it is done inaccurately. This process needs a lot of attention and technical efficiency to accomplish built-in import/export strategy. 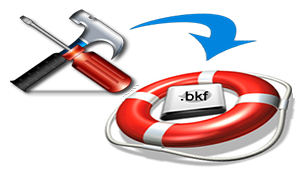 To overcome this problem you should take backup of OST file before executing the export, to restore them. By doing so your data will not lose when there is any mistake. Your data will not change after conversion. 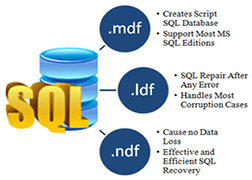 It performs the quick and safe conversion and maintains data integrity. This tool or software can be used for both normal and corrupt files. It also supports encryption. The files which are password protected will also get exported.